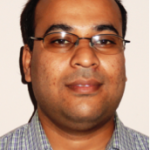 Dr. Mayank Mittal is an assistant professor in the Department of Mechanical Engineering at IIT Madras. He received his PhD in Mechanical Engineering from Michigan State University, USA in 2009. He then worked as Post Doctoral Research Fellow at Michigan State University, and as Senior Engineer at the technical centers of Caterpillar and Generac Power Systems of USA before joining at IIT Madras. His research interests include diagnostics and modeling of internal combustion engines including aftertreatment devices, and alternative fuels. He works on developing and applying laser-based optical measurement techniques for flow, fuel spray and combustion studies. PhD Dissertation Completion Fellowship (DCF) Award for Fall 2009, Graduate School, Michigan State University, USA. National Scholarship for Undergraduate Education, Shri Bansilal Sanghvi Shikshan Prasarak Trust, Jalgaon, Maharashtra, India. Mittal M, Donahue R, Winnie P and Gillette A, 2014, “Combustion and gaseous emissions characteristics of a six-cylinder diesel engine operating within wide range of natural gas substitutions at different operating conditions for generator application,” SAE Technical Paper 2014-01-1312, doi:10.4271/2014-01-1312. 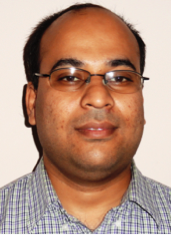 Vedula R, Mittal M and Schock HJ, 2013, “Molecular tagging velocimetry and its application to in-cylinder flow measurements,” ASME Journal of Fluids Engineering, 135(12), 121203 (17 pages), doi: 10.1115/1.4025170. Mittal M, Hung DLS, Zhu G and Schock HJ, 2011, “High-speed flow and combustion visualization to study the effects of charge motion control on fuel spray development and combustion inside a direct-injection spark-ignition engine,” SAE International Journal of Engines, 4(1), pp. 1469-1480, doi:10.4271/2011-01-1213.